A US company has announced it has found a way you can block out Wi-Fi - with paint. The obscene idea has been developed by Virginia-based EM-SEC Technologies . The announcement saying that the material had been successfully tested put the word "paint" in inverted commas, so we'll ascertain that it's rather more complex a mixture than the stuff you buy in a tin for a few quid. However, it's not so much about keeping signals out, rather keeping them in - the coating was originally developed for the US Military to prevent eavesdropping on sensitive information being transmitted over Wi-Fi networks. "The tests confirmed that wireless transmission of information can be protected from unauthorised access by the use of their EM-SEC Coating System," says the statement. The tests were carried out in the company's SCIF (Sensitive Compartmented Information Facility) and yielded positive results, blocking out RF (Radio Frequency) signals. "The use of EM-SEC Coating as an electromagnetic barrier for the containment of wireless networks has opened a new realm of possibilities for our company and for the future of wireless communications," said Robert Boyd, Vice President and Director of Technology for EM-SEC Technologies. 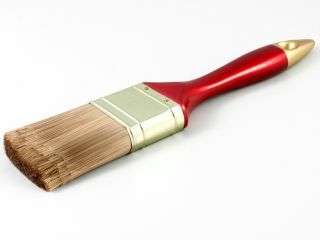 Of course, such paint would be highly marketable from boardrooms to labs to banks. EM-SEC's tests concluded that "intellectual property can no longer be stolen through the airwaves while inside an EM-SEC-coated facility."